Combining biography, history, and politics, Our Man Down in Havana investigates the real story behind Greene's fictional one. This includes his many visits to a pleasure island that became a revolutionary island, turning his chance involvement into a political commitment. His Cuban novel describes an amateur agent who dupes his intelligence chiefs with invented reports about "concrete platforms and unidentifiable pieces of giant machinery." With eerie prescience, Greene's satirical tale had foretold the Cold War's most perilous episode, the 1962 Cuban Missile Crisis. 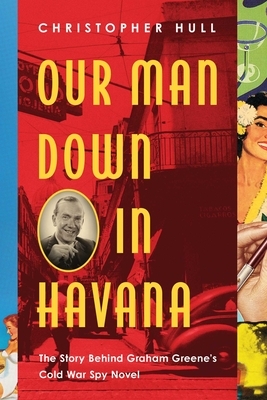 Exploiting a wealth of archival material and interviews with key protagonists, Our Man Down in Havana delves into the story behind and beyond the author's prophetic Cuban tale, focusing on one slice of Greene's manic life: a single novel and its complex history.